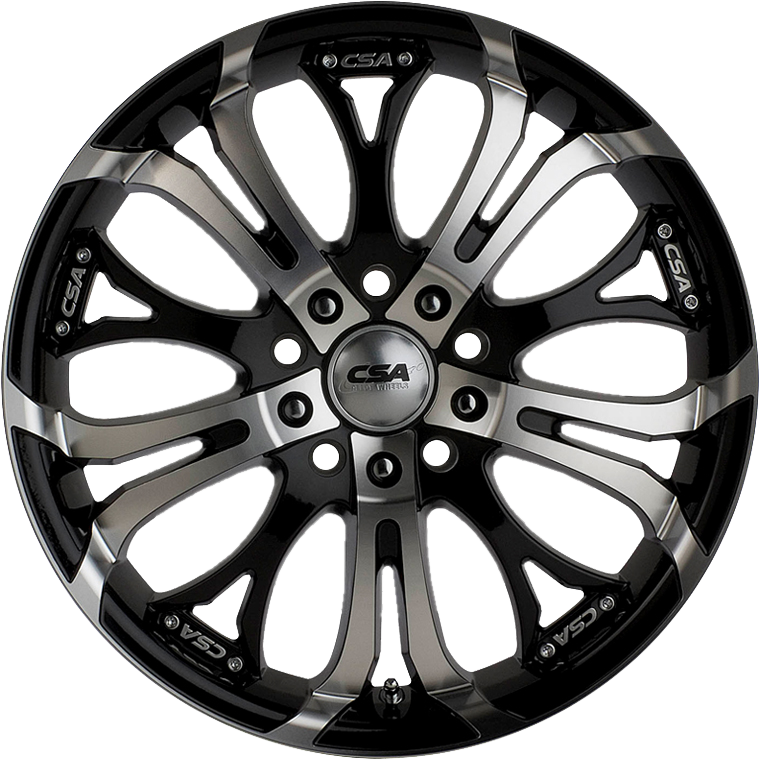 CSA Shaker is a best selling muti-spoke wheel design which looks great on any vehicle. CSA Shaker is a best selling muti-spoke wheel design which looks great on any vehicle. The Shaker wheel features 5 deep-set black spokes behind 5 bright machined face front spokes to create an awesome appearance. Shaker is available in 15x6”, 16x7”, 17x7”, 17x7.5” and 18x8” sizes. The Shaker wheel suits most small to medium cars, all Commodore sedans and utes, plus Falcon sedans and utes (except Falcon1 tonne ute). The Shaker 17x7.5 P38 offset is also perfect for many 5/114.3 bolt pattern mid-sized sedans, including Aurion, Corolla, Camry, Lancer, 380, Mazda 626, Honda, Dodge, Swift etc. The Shaker 18x8 is suitable for the Ford Territory and many other 5-stud SUV’s. Shaker is load rated from 690 Kg to 695 Kg in the smaller sizes and 850 Kg in 18x8” size and is perfectly suited to various passenger & SUV applications.